Scouts is for young people aged between 10½ and 14 years who want to make friends and develop their widening interests in way that are both educational and fun. Our activities are about action and involvement and mean more than just camping. Hiking, rock climbing, gliding, sailing, pioneering, canoeing, parascending, abseiling, putting on shows and exhibitions, motor mechanics, electronics, photography – the list is endless! 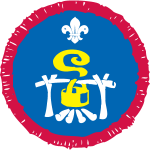 Click the uniform for a quick guide to show the position of the most common Scout Badges. 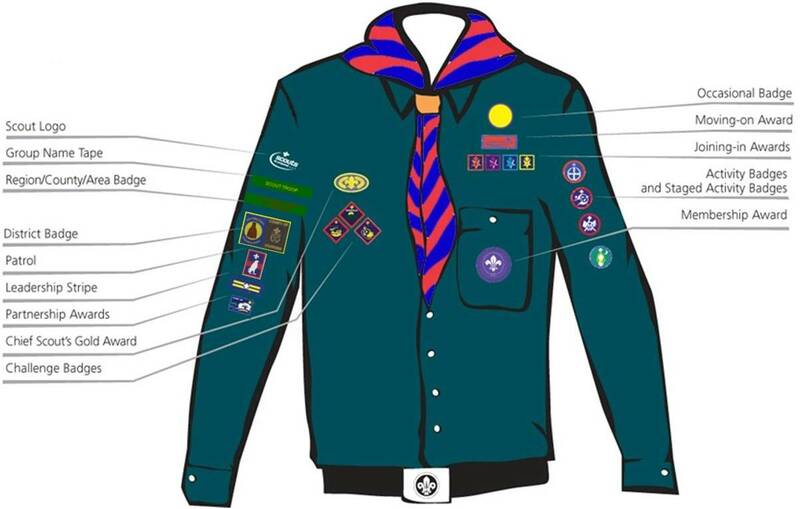 Scouts wear a common uniform consisting of a Scout teal green shirt or blouse and a group scarf with a woggle. 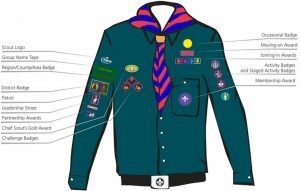 If not awarded at Cubs, the scarf and woggle, are presented to the Scout during their investiture along with a set of badges.